We offer private ice cave tour in Iceland with a professional AIMG glacier guide. We are visiting the treasure island ice cave in the southeast of Iceland. We can suit the tour to your needs, so you can get all the best from it. We can leave early for sunrise tours, arrive before the crowds, camp out for one night or just make extra time for you in the cave to take photos, we can also help you to photograph in the cave. We are visiting a remote ice cave on our tour, we try to visit the best ice cave available at every time. How much walking: Around 6 kilometers in total, can take from 3-4 hours. Most part of the walking is on a glacier ice and part on rocky surface. When do we operate the tour: The ice cave season is from the beginning of November till mid of March. Minimum age: for this tour, it is 12 years old. We will though gladly organize a tour for you and your children, that fits their age and needs. Send us a special request for that. MUST READ: Ice cave tours are weather dependent tours. Your safety is the most important part of the tour for us. Due to weather or dangerous condition we may have to cancel ice cave tours with very short notice. We will always refund you fully in case of cancellation. But we, of course, try to arrange another tour for you instead if possible. Many things can change the conditions of the ice cave in a very short matter of time, therefore we like to be in personal contact with our clients and keep them informed throughout the whole journey from booking until after the tour. All our ice cave tours are guided by professional AIMG glacier guides. All the guides are local from the area with many years of experience. Since we are a small family company it’s either guided by Solla or Guillaume, you can read more about them here. We will drive you to and from the glacier in our 4×4 Land Rover Defender. We can pick you up anywhere between Höfn and Jökulsárlón. Small backpack to carry the snacks, camera, and etc.. Sunglasses in case it’s sunny. For more specific tour other things might be needed and then they are listed out personally to you. To book a tour you fill out the form on the right side of this page. There you can choose your date and how many participants. Our booking platform only allows up to 4 people to book in one group, if you are more then 4 people in one groups you can send us an email to info@localicelander.is and we will give you an offer. We will send you an email after you have booked to decide the pickup location and the departure time of the tour. Since we are offering private ice cave tours, we want to have flexibility on the departure time, depending on weather and your special needs. The price you find on our booking platform is for a private ice cave tour to the best available cave. The duration of that tour is around 6-7 hours. That tour includes a glacier walk and ice cave exploration, with a good time for photography and enjoying. The price is listed on the booking platform here on the sight or below. If booking for groups more than 4 people you need to send us an email to info@localicelander.is and we will give you a good deal. 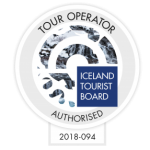 For special requests such as longer time or special project the price may vary, it can be good to send us a request to our email to info@localicelander.is and we will give you an offer for your customized tour.